Emery Kauanui Jr. moved to Southern California with his mom, Cindy Kauanui, after Hurricane Iniki struck Kauai in 1992. A pro surfer, Kauanui was sponsored by Liquid Foundation, a San Diego surf shop, for the past seven years. EMERY KAUANUI JR., a California surfer born on Kauai, died Monday after a fight with four men that began in a bar. Kauanui, 24, was involved in an altercation May 24 with a San Diego man he'd known for some time, police said. Friends said it started when Kauanui accidentally spilled a drink on a man, which led to an argument. The four men later followed Kauanui home and punched and kicked him, causing head injuries. The four have been arrested and charged with murder. Kauanui, a pro surfer, often spent winters in the islands, visiting family, including his father, Emery Sr., who still lives on the Garden Isle. A PROFESSIONAL SURFER born and raised on Kauai died in San Diego this week, apparently after an altercation over a spilled drink. Emery Kauanui, 24, died Monday after four men followed him home after a confrontation at a La Jolla bar on May 24. The four men, who had known Kauanui for some time, called Kauanui out of his home and then punched and kicked him, causing head injuries, said San Diego homicide detective Lt. Kevin Rooney. Kauanui "developed complications" and died about noon Monday. The four men have been arrested and charged with murder, Rooney said. He identified three of the suspects: Orlando Osuna, 22; Eric House, 20; and Seth Cravens, 21, all of San Diego. Friends say it started when Kauanui spilled a drink on one of the four suspects. Kauanui and one of the men started arguing and were thrown out of the bar, but the four followed him the two blocks to the house he shared with his mother and a brother. Kauanui came out of the house and a one-on-one fight escalated to four-on-one, Rooney added. "Junior Boy" Kauanui, whose father, Emery Sr., still lives on the Garden Isle, came back to Kauai as much as possible to see family and surf, said family friend Jonathan Chesner. "He represented the aloha spirit very well," Chesner said. "He was very proud to be Kauaian" and had the Hawaiian islands tattooed on his calf. 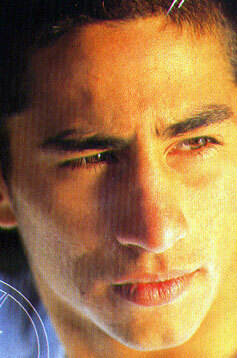 Kauanui, the middle of three brothers, moved to Southern California with his mom, Cindy Kauanui, after Hurricane Iniki in 1992. She started and continues to run a successful modeling agency called Jet Set, with offices on Oahu. She was in the islands when the fight occurred, Chesner added, and raced home after finding out. The relatives are doing the best they can, he continued, but it's tough considering the altercation occurred right in front of the family home. Emery Kauanui hits the waves. Kauanui was a local pro surfer and was planning to attend Mesa Community College next semester. "He was great person, with full Hawaiian style," said Todd Bartlett, owner of Liquid Foundation Surf Shop, one of Kauanui's sponsors. "He was a real good surfer and a great person." Liquid Foundation, a San Diego surf shop, had sponsored Kauanui for the past seven years. He was active in local contests and spent quite a bit of time surfing in Hawaii. Despite his skills in the water, he was humble. "He had a great heart for people," Chesner said. "So many people really loved this kid." On his Web page on MySpace.com, Kauanui said, "There's many lessons to be learned in life, and my passion is to travel the world, surfing, seeking out these lessons through the people I meet and at the same time learn how to adapt to their culture and lifestyle leaving a good impression." He was also a heartfelt Christian. "Like anyone, he had his battles, but he really did love Jesus," Chesner added.